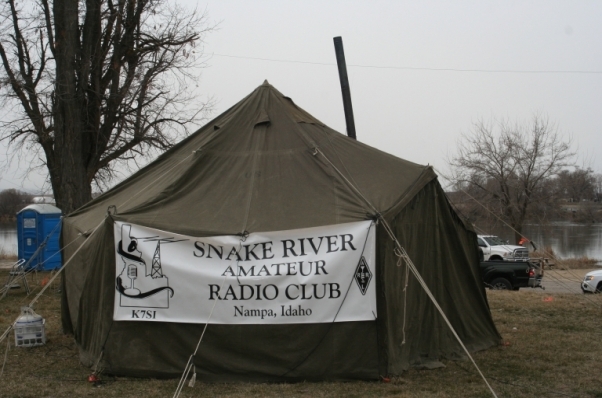 The Idaho QSO Party was again held at the River's Edge RV Park. The park is close to Nampa and easy to get to. We have space to put up the GP Small Army tent and there are gazebos to set up the kitchen for cooking. We had a good turn out with 10 hams either visiting or working radios. We had 6 stations set up plus the wood stove so it got a little crowded at times in the tent. 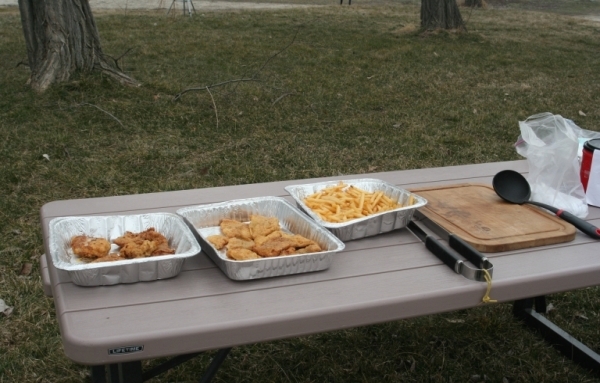 But a good time was had by all of us. 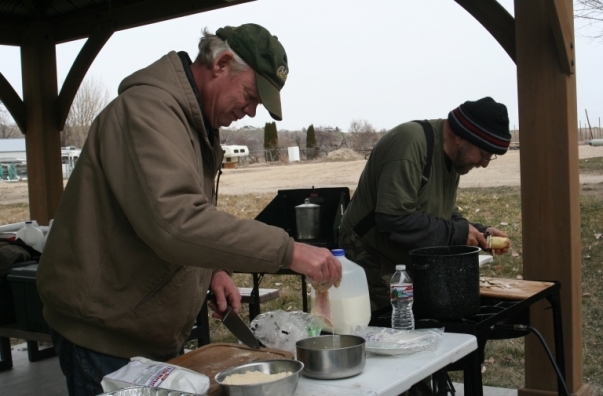 Bob, W7RLS, and Steve, WB7VEQ, cooked some great meals starting with a soup for Friday night dinner and pork roast for Saturday night dinner. 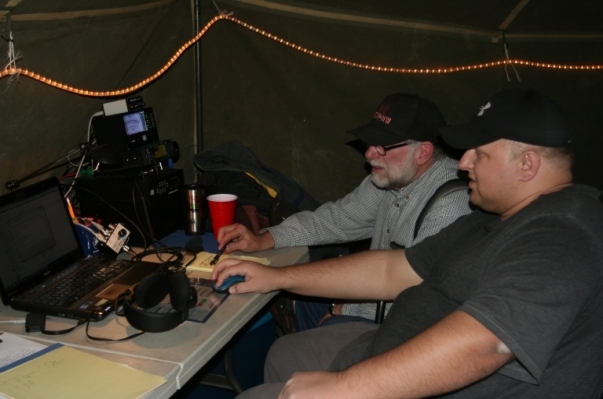 Bob, W7RLS, and Steve, WB7VEQ, fixing lunch Saturday. And, below, the result of their efforts. Rick, KE7PNW, left, and Tony, KI7TMZ,discussing the software on Rick's laptop. Tony did some cleanup on the laptop as well trying to make some contacts. 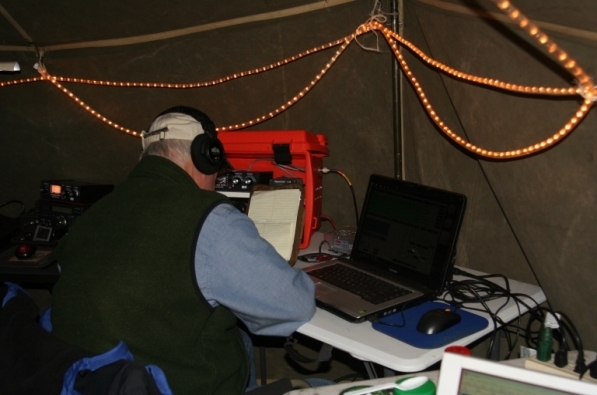 Craig, KD5ODQ, making some voice contacts. He did the best during the day making 16 contacts. Our total contacts was 32 so he made half of our contacts. Good job Craig.